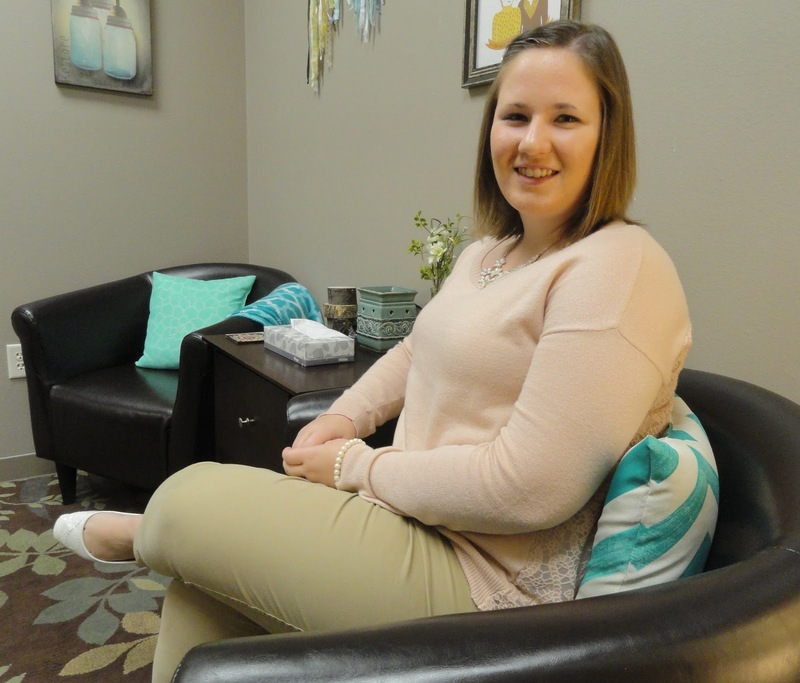 SIOUX CENTER – She’s a crime victim advocate for Family Crisis Centers, but she spends her days full time at Promise Community Health Center. 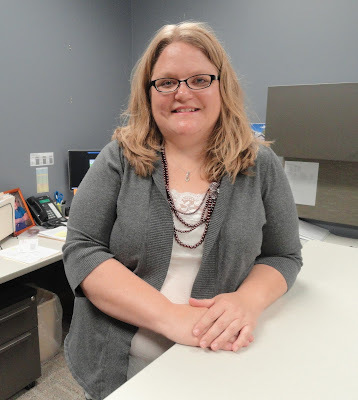 Kelsey, who has been serving in the position since since Aug. 1, is at the forefront of a pilot project that aims to reach out to crime victims in northwest Iowa in a new and innovative way through the partnership of the two Sioux Center-based organizations. another means to better reach out to victims. Kelsey started working for the Iowa Domestic Violence Helpline operated by Family Crisis Centers in May after graduating from Northwestern College in Orange City. She then was approached by FCC executive director Shari Kastein in June about whether she would have an interest in the victim advocate role. The project was made possible through a $235,000 federal grant awarded by the Iowa Attorney General’s Office from the Victims of Crime Act (VOCA) fund. After the template is developed and refined at Promise, Family Crisis Centers will expand the project by initiating two more partnerships in Storm Lake and Carroll during the first year of the program. The program might be eligible for two additional years of funding. Kelsey, who is bilingual in English and Spanish, will provide a full range of services to victims, including crisis intervention and response, at Promise as she gets established in her position. Q: Why do you think it’s a good idea for Promise CHC and Family Crisis Centers to partner together to offer victim advocate services onsite at the health center? A: Family Crisis Centers is always looking for better ways to reach victims. One place we were finding a lot of people falling through the cracks was in the health-care system. Patients trust their doctors and nurses and may choose to disclose to them about violence going on in their life. Aside from providing a referral to FCC, there was not much that health-care providers could do. For many reasons, such as unsafe circumstances or lack of transportation, these patients would often not take that next step. This partnership is all about bridging that gap – making health-care providers’ jobs hopefully easier by allowing them to make a simple, more immediate referral to an in-house advocate and breaking down some of those barriers for victims. Q: Why did this role interest you? A: This position is the perfect marriage of my passions. It is sometimes a bit intimidating to be the pilot program for not only the other two advocates that will eventually also fill this same role at other clinics, but also for similar programs throughout the state. However, I think that this was a challenge I was more than ready to take on, and I have loved getting to be part of the development process of this new program. Q: Why did you originally become interested in going into victim advocacy work as a career? A: As a Spanish interpreter, I wanted to be a voice for those without one. Victim advocacy does this in a whole new way: Not only can I help bridge the communication gap for Spanish speakers, but I can be a voice for victims as well. Q: How do you hope you can help people in this role? A: I hope to be able to bring some clarity and understanding to victims in the region. This is tricky terrain on its own, even without a language barrier. I hope to be able to help victims in any way I can and be a voice for those that don’t have one. Q: What are your initial impressions of Promise as an organization? A: I was very surprised with the extent of Promise’s health care. Being able to have your health care, dental, vision and mental health needs met all in one place just makes sense. It’s great that Promise is always growing and changing their needs to fit those of their patients. Kelsey grew up in Alton and graduated from MOC-Floyd Valley High School before going on to Northwestern College in Orange City. She and her husband live in Orange City. In her spare time, she enjoys gardening, sewing, doing crafts and being outside. For more information on the crime victim advocacy partnership project between Promise Community Health Center and Family Crisis Centers, read this story. No matter what you do, help people. That’s exactly what he’s doing now as a new dental assistant at Promise Community Health Center in Sioux Center. career path because he desires to help people. Leonardo grew up in Colotlán, Jalisco, Mexico, and graduated from high school there in 2010. His family then moved to Rock Valley. Leonardo stayed in Rock Valley for about six months, but he decided to return to Mexico in 2011 for dental training at Universidad Guadalajara Lamar. He knew it was a career where he could help people because he had a cousin who worked as a dentist. He completed his studies in 2015 and then served his social service for six months as the dentist at a small clinic – completing the requirement in half the time because he put in double the work. 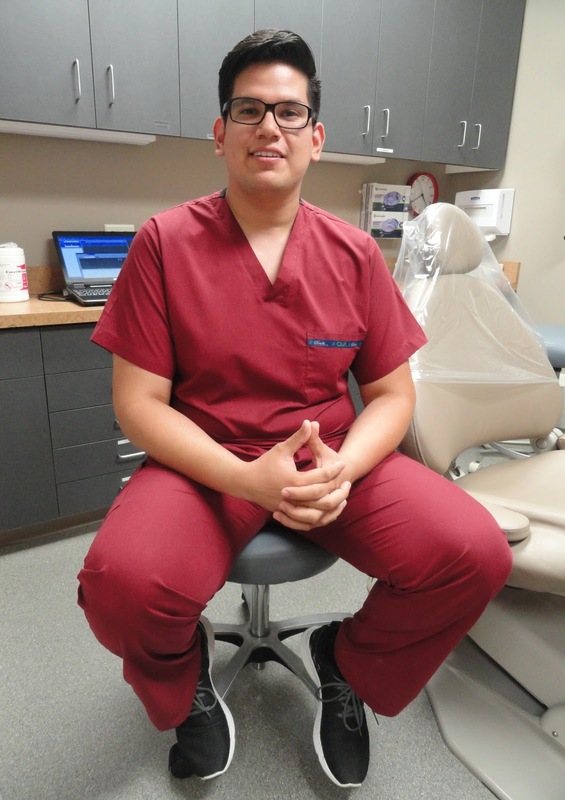 He then moved back to Rock Valley in February with hopes of saving enough money and learning to speak English well enough to be able to enroll in the Dental International Student Program at a university in the United States to become a dentist here. In the meantime, Leonardo decided that working at Promise would be the perfect start for him. Leonardo has found Promise to be “the perfect workplace” for him because the main purpose of the health center is to help people – no matter their financial resources or their background. But people are helping him, too. 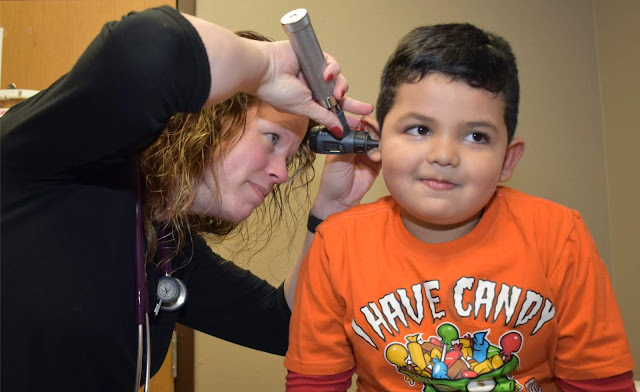 Promise Community Health Center of Sioux Center is the only Federally Qualified Health Center in the far northwest corner of Iowa. Promise provides medical, prenatal, dental, vision and behavioral health services. To learn more, visit www.promisechc.org and watch this video. To read more Promise news, visit promisechcnews.blogspot.com. Leonardo Gabriel Marquez lives in Rock Valley with his family. His interests include photography and traveling. He also likes going to tractor pulls, car races and other events in the area so he can learn more about and experience the culture of northwest Iowa. SIOUX CENTER – If the billing process runs smoothly, Promise Community Health Center can continue to grow and advance its mission of serving people in need. graduating from college in 2001. That’s what April Albertson hopes to bring to the health center in Sioux Center. She recently assumed her position as the new billing specialist at Promise. Albertson grew up in LaMoure, ND, and graduated from LaMoure High School in 1997. She earned her bachelor’s degree in psychology and business from Minnesota State University Moorhead in 2001. Her entire career has been dedicated to health care since then in the following positions: behavioral health tech for the inpatient children’s unit at Prairie St. John’s in Fargo, ND, 2001-06; office manager at Catholic Health Initiatives in Valley City, ND, 2006-08; clinic director for Oakes Community Hospital in Oakes, ND, 2008-16; and clinic director for Lisbon Area Health Services in Lisbon, ND, 2014-16. Albertson now is happy to be serving at Promise, where she will complete tasks such as processing insurance payments, working on denied insurance claims, making account adjustments, looking at workflows to help the billing process flow smoothly and keeping up-to-date on billing regulations. Albertson said Promise’s employees have been friendly and welcoming and have made her feel like part of the team since her first day. April Albertson and her 10-year-old son, JT, who will be a fourth-grader at Kinsey Elementary in Sioux Center, are in the process of moving to Sioux Center. Her boyfriend, Mark Zalme, has been a lifelong resident of northwest Iowa. In her free time, she enjoys swimming, taking walks, going to craft fairs, reading, attending baseball games and baking.